Chrome shot clip. Allows a thimble measure to be dedicated to each bottle, no more cross-contamination. 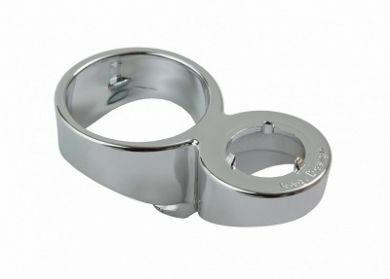 Allows a thimble measure to be dedicated to each bottle, no more cross-contamination. Suitable for 25ml, 35ml, 35.5ml, 50ml, 70ml and 71ml thimble measures.